VOX provides consulting and solutions to support and enable today’s mobile workforce. 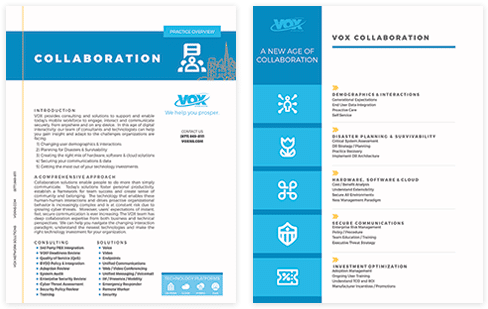 VOX provides consulting and solutions to support and enable today’s mobile workforce to engage, interact and communicate securely, from anywhere and on any device. In this age of digital interactivity, our team of consultants and technologists can help you gain insight and adapt to the challenges organizations are facing.